TLV maintains a level of craftsmanship since its beginning over 50 years ago. The company is renowned for producing dependable, long lasting steam traps and pressure reducing valves for steam. TLV has quickly become known as one of the UKs leading steam specialist companies. Its innovative and unique range has been expanded through constant investment by TLV to offer a complete range of steam equipment that will suit the most demanding situations and processes. Valves Online have been a principle TLV steam product specialist distributor for almost 4 years and working in partnership are now offering a large range of TLV’s products for sale on the website in an easy to navigate, specify and purchasable way. With back up from TLV and the experience of the Valves Online technical team we aim to offer the simplest and most satisfying solutions to any issues in steam systems. If anyone asked Matt, (who is our steam product specialist) 'what’s your favourite TLV product?' it would definitely be the COSPECT® pressure reducing valve. Why? Because it has everything built into it, a strainer to remove rust, scale and dirt, a 98% Efficient cyclone separator and free float trap that ensures condensate is removed from the inlet flow all in one compact easy to install and long lasting unit. This product will often solve many of the process issues that a customer may be experiencing in their system, improving reliability and accuracy. 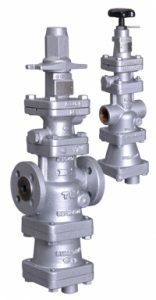 Pressure reducing valves are one of components in a steam system that are most vulnerable to performance issues and problems. We often hear from users and installers of a lack of ability to control secondary pressure, no steam flow, secondary pressure dropping or very inaccurate adjustment. TLV determined that these problems can be attributed to two main causes: foreign particulates e.g. rust, dirt and scale, and condensate entrained in the steam flow. Often this means that a temporary solution to these problems can be a thorough cleaning of the valve, removing particulate from the moving parts such as the piston, pilot valve and main valve. However, the installation of a y strainer alongside this cleaning is not enough to solve the problems indefinitely. The Strainer Screen on the inlet removes rust and scale that may have been picked up in the steam line, remaining small particulates are forced from the steam flow by the cyclonic action of the separator. The cyclone separator is one of the most efficient designs on the market removing up to 98% of entrained condensate from the steam line, condensate that has been removed by the separator action is then discharged through the built in free float steam trap. The free float steam trap provides a constantly modulating discharge of condensate meaning that even on shutdown condensate is discharged preventing pooling of the condensate and the formation of corrosive carbolic acid, and reducing the chances of water hammer. By making sure there are no particulates or condensation in the steam line and the use of the self-adjusting spherical stem on the main piston which prevents catching and locking on the main valve piston a set pressure can be maintained at accuracies of around ±0.1 Bar. 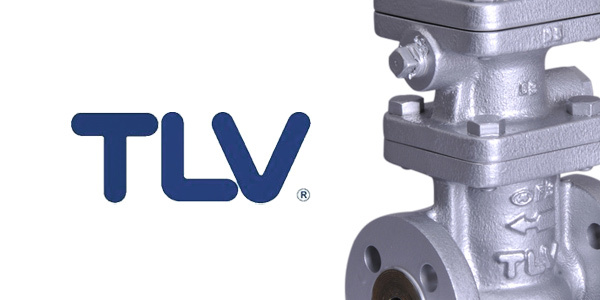 Overall TLV have designed the COSPECT® to solve the common problems that competitor’s valves may experience and by doing so provide a valve that can increase system efficiencies reduce process losses whilst also providing a longevity that is hard to match with some valves having been successfully operating in excess of 20 years. All in a compact, easy to maintain and install package! ...and don't forget to take a closer look at TLV's animation of the TLV Cospect valve's benefits here. For further information or should you wish to discuss your steam valve requirements in more detail please call Matt or a member of the technical team on +44(0)1822 855600, +44(0)161 480 5700.